Today those words will ring out loud over fifteen major league ballparks as the country celebrates the 241st anniversary of the signing of the Declaration of Independence. The anthem has become a tradition before all major sporting events in America, but the Star-Spangled Banner–and more importantly, the country it honors–has a special meaning to the game of baseball. What are the core values of the American people? The vast majority would answer something like “freedom,” “liberty,” “equality,” or “acceptance.” In reality we fall short of those ideals much of the time. One need only glance at the political headlines to see the extent to which Americans disagree on how those tenets translate into tangible policy and action. But that mysterious idea of freedom, of equality and fairness for all, continues to be the central tenet of the American psyche. Nowhere does that cherished ideal find a more perfect union than with the game of baseball. Take the batting order. One through nine, rain or shine. Managers typically put their best hitters at the top of the order, in the hopes of giving them more at-bats, but they can’t skip anyone in their order just to get to their top guy. If your best hitter strikes out, tough luck. They get to wait until its their turn again. Each batter gets an equal chance to help their team. The equality of the batting order contributes to another American pastime; our love of the underdog, the unlikely hero. There’s a reason everyone outside of the 216 was rooting for the Cubs last October–we love seeing new heroes emerge. If you need more proof, try counting up every superhero origin story movie made by Hollywood in the last decade. It’s the bottom of the ninth, with the bases loaded, and two outs. If this was basketball, we all know who’s getting the ball. It’s going to Lebron James, or Kevin Durant, or Steph Curry. In baseball, the bat goes to whoever’s next in the batting order. It might be Kris Bryant; it might be Conor Gillaspie, who became the hero for the Giants when he crushed a 3-run homer to send the Giants to the NLDS. We all want a chance to be a hero; baseball gives each of us that chance. 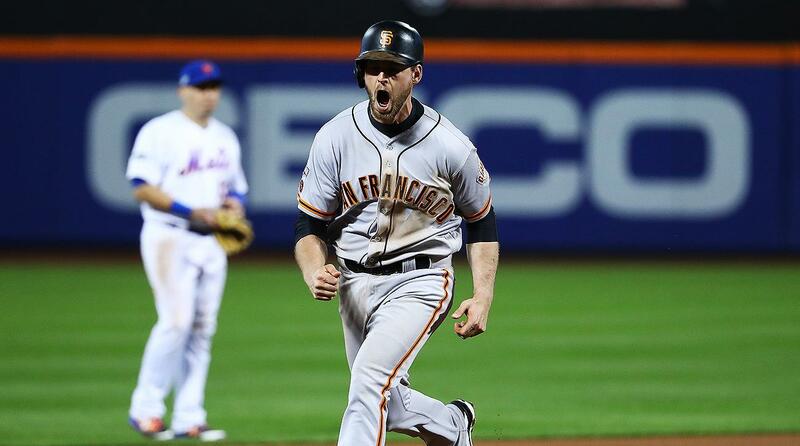 Conor Gillaspie; Bay Area Hero. America has always been a nation of immigrants. Our cherished Founding Fathers were largely of European descent, and the hard work of immigrants from Ireland, Mexico, China, and so many other regions of the world built America into the economic and political powerhouse it is today. All these people wanted was a chance to work hard and earn their way; America gave them that chance. Baseball too is a sport of immigrants. This year’s successful World Baseball Classic helped promote the globalization of the game. We routinely see players from Japan, the Dominican Republic, and Mexico taking at-bats for our favorite teams. In 2013, over 25% of MLB players were from outside the US. 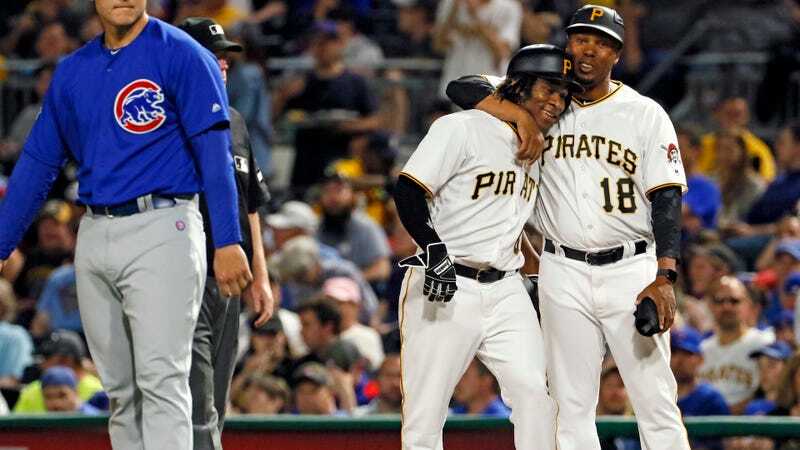 Just this year, the first African-born Major League player, Gift Ngoepe, appeared in a game for the Pittsburgh Pirates. Gift Ngoepe gets an embrace from first base coach Kimera Bartee after his first major league hit. The democracy of baseball extends into the stands as well. Baseball is not elitist, nor discriminatory. Rich and poor, black and white sit side-by-side at the ballpark to cheer on their team. Parents bring their kids; girls bring their boyfriends; old-timers bring friends they’ve known for decades. Some hang on every pitch, avidly keeping score and tracking the game. Others come to have a good time, drink a beer, and socialize. Whoever you are, and whatever you do, you are welcome in the stands of a ballpark. It is a bastion of liberty in a country that prides itself on freedom of expression and freedom of enjoyment. America has long cherished the ideals of freedom and liberty, yet has always struggled to live up to those lofty goals. Countless examples of failures mar the pages of this country’s history, too many and too tragic to list them here. It is the greatest irony that America, a nation which frequently (and erroneously) believes it founded the concept of liberty, has time and again played the part of the tyrant rather than the liberator. Baseball, like America, is not perfect. 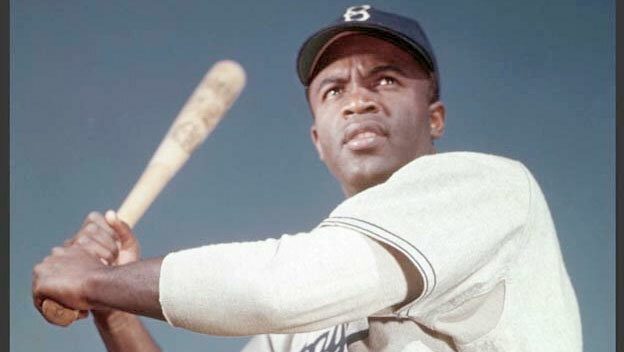 For decades the game was restricted to white players only, until Jackie Robinson famously broke the color barrier in 1947. A game that prides itself on equality suffered through nearly a decade of what has come to be known as the “steroids era,” when equality referred only to the equal opportunity to get PEDs rather than equal chances on the field. Baseball has regrettably yet to see a woman manage, coach, or play at the big-league level. One of the bravest men in baseball, Jackie Robinson. Yet these flaws in baseball serve as the most adept metaphor for America and it’s cherished democratic values. “Eternal vigilance is the price of Liberty,” Wendell Philips once claimed. Creating, preserving, and upholding the values of liberty and equality takes hard work. America has come a long way since 1776, when only white men of property had the right to vote and welfare programs were nonexistent. Yet to truly live up to the ideals of freedom, liberty, and equality, we have a long way to go. In this America and baseball find their union. Baseball too has come a long way, but the work to preserve and extend the benefits of liberty and equality of the game to all continues. Teams should work to hire more black managers, scouts, and executives. MLB should make baseball more accessible for foreign nationals by providing more translators and opportunities for young men coming to the country to play. Grassroots campaigns need to be launched encouraging women to get involved in the sport, both in the front office and on the field. These reforms will take generations to bear fruit, but this country–and the ideals it cherishes–was not built in a day. Baseball remains America’s greatest democratic tradition. The values we cherish are integral to the game of baseball. Much like our country itself, it is not perfectly equal, nor is it a shining example of liberty for all, but that should not be taken as a detractor or a knock against the sport; rather, it’s a chance for improvement, an opportunity to extend the benefits of this great game to everyone far and wide. It’s not truly democracy until everyone is involved. So God bless America on this national holiday. And God bless baseball.